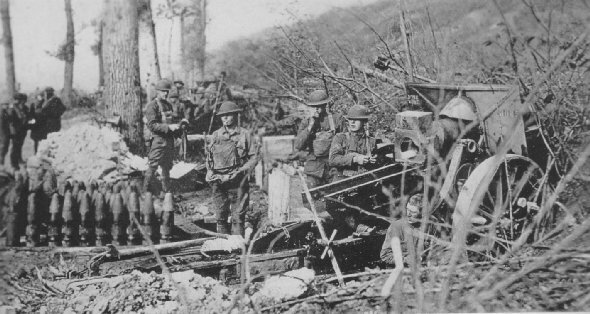 Battery B, 106th Field Artillery, 79th Division, near Samogneux, on the Meuse River, Nov. 3, 1918. The merciless pounding continues. While the enemy is falling back, he is taking a terrific toll for every foot of ground he yields. German portable searchlight with motors and electrical generators in perfect condition. 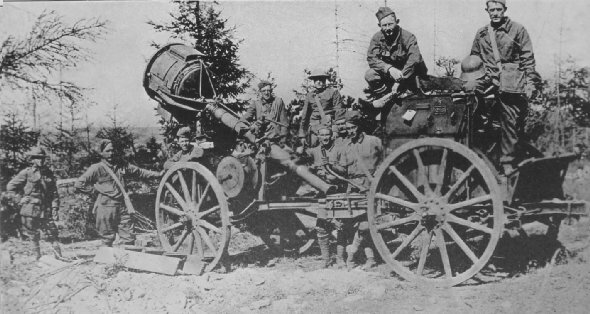 It was found in a thirty foot dugout, seen in the left background, by men of an engineering regiment, some of whom are perched on the carriage.